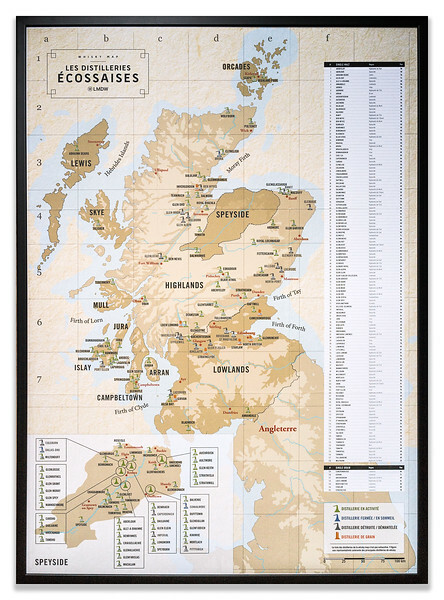 French map entitled 'Les Distilleries Écossaises' showing the location of Scottish whisky distilleries. The map had been folded and so was bonded to a Nielsen Bainbridge self-adhesive board to ensure it was completely flat. Then it was framed with a simple black moulding from their B3 range.